For somebody who only has ten fingers, I covet more rings than I have digits to show them off. 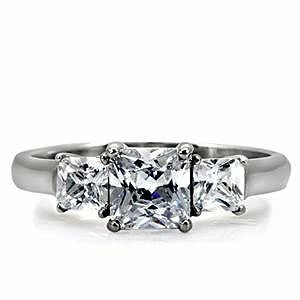 My latest fascination is with a brand of jewelry designs called Russian Ice On Fire CZ's or cubic zirconia rings. When I look on my dresser, I see that I already have a small collection of cubic zirconia items hanging from my special holder. Unfortunately, none of them are the Russian Ice brand, which I really want to own. I am surprised that I don't see more articles about this gorgeous stone online. For the price, some of these items are incredibly beautiful and realistic-looking. 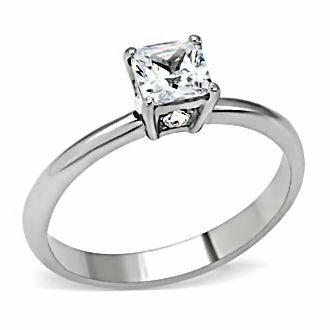 On Amazon, I can probably pick up three or four different designs for less money than one genuine diamond ring. Of course, I slobber over real gemstones, but when I want a great look for less money, I never have a problem with bling that isn't real. As long as it looks like a quality piece, I am happy to wear it. This particular brand of jewelry has a reasonable price range for ladies on a budget. This can pass for a real diamond solitaire engagement ring, but I really love it for its simply elegant lines whether it is genuine or not. Lovely. Description: gorgeous! Look at that price tag; unbelievable. One of the reasons why you can get a style like this for less than $20 dollars is because some of the designs are made of stainless steel. That is an unusual metal when it comes to ladies jewelry, but the effect on price is very positive. I have worn sterling silver in the past, but never stainless steel. The material is durable enough to create long-lasting items. If it's good enough for expensive frying pans, then it's good enough for a fashion ring to add to my collection. I think I was born loving bling. I am passing ( okay, so I already passed) the half-century mark and still go gaga over sparkly accessories like glittery shoes, pearlized cosmetics and gemstone jewelry that has enough dramatic reflective qualities to please even the choosiest Hollywood actress and her snobby French poodle. Like I mentioned above, this bling weakness can be a problem when you only have 10 fingers. Not even that because I don't like to wear rings on my thumbs and rarely on my pinkies. This one caught my eye because of two things; it is cheap ( price-wise) and yet has a really intricate setting that makes it look much more expensive than it is. I love the clarity of the stones on this one. I bet a lot of people would compliment the wearer of such a pretty ring. Not only is this beauty affordable, it gets wonderful reviews. I am not condoning the idea of monetary cheapness when it comes to one of the most blessed occasions in any couple's life; the wedding day. In my heart of hearts, I believe that the groom should spend as Credit: www.amazon.com much as he can afford and even take out a loan to get his bride the best diamond ring he can get her. Was that a groan I heard from the men out there? With people waiting forever to get married these days, maybe they are in a better financial position to buy major carat weight diamonds on 18k gold settings. 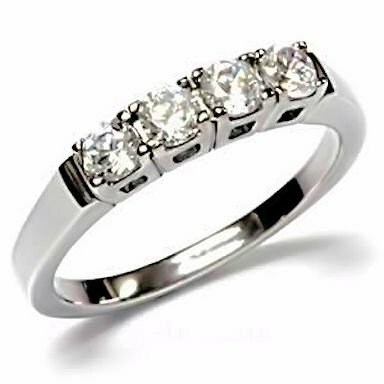 However, there are still a few young people tying the knot these days with just a "wing and a prayer" and they are the ones who benefit from cubic zirconia wedding ring sets at lower prices. That was probably the norm decades ago when couples were young, in love and very poor. Romance was more important than establishing a career and couples simply wanted to tie the knot regardless. I think it's wonderful that a woman can get such a great-look for such little money. But making a wish list is still fun! This wish list making is a lot of fun. I get to windowshop, compare prices and styles, and do it all while writing an article at the same time. It really helps me to figure out why I love the things I do and what draws me to one product over the other. I love all of the rings here on this page. 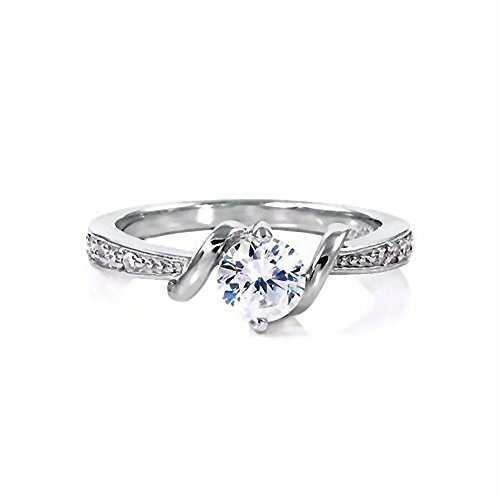 If I could only pick just one, my first choice would be the simple solitaire. I would have to find some room on one of my hands for another bling addition next to my emerald (real), Swarovski crystals and rhinestones, but the more the merrier!